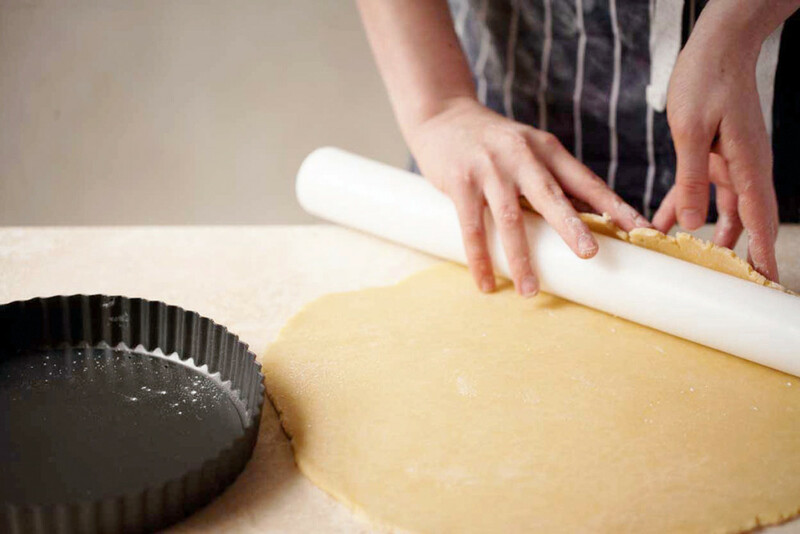 This sweet shortcrust pastry is the recipe that we use for most of our sweet tarts in the bakery. You can scale it up or down to suit whatever you’re making. Always remember to be careful when adding liquid to your pastry – add gradually, and stop when the dough just comes together. Factors such as heat and humidity will slightly affect how much is needed, and too much can ruin your dough. Do not over work your pastry, as this develops gluten and makes the dough tougher. 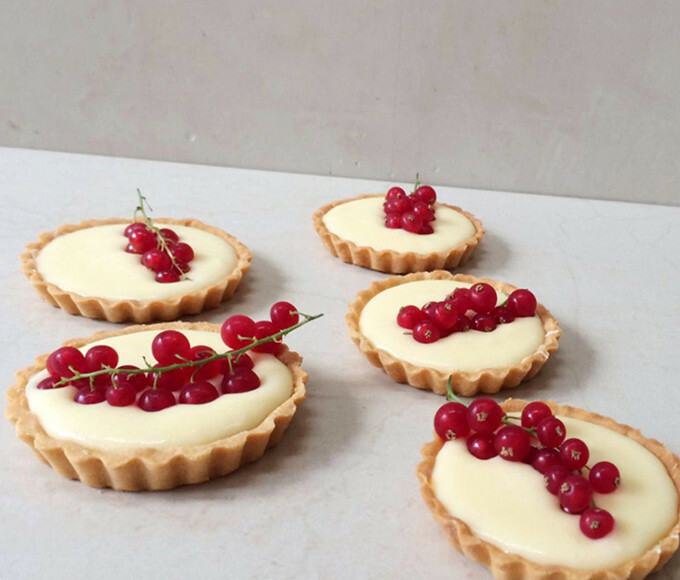 To this end, try to work quickly, minimising the amount you’re handling the pastry. Work in a cool room on a cold surface with cold hands. You don’t want the butter to melt in the dough. Be precise with the measurements – use a digital scale if possible. Allow the dough to rest in the fridge overnight if you can. In any case, do not skip the resting stages in the recipe, they are crucial to the end result. Optional flavourings: zest of 1 orange, lemon or grapefruit, finely grated, or 1tsp freshly grated nutmeg, or 15g ground almonds. Sift the flour, icing sugar and salt from a height onto a cool, clean, dry surface. 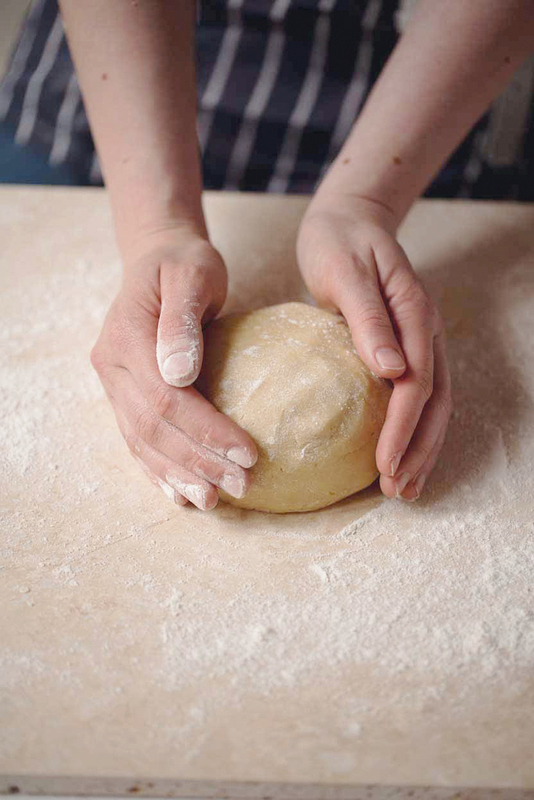 Add the butter and work into the flour – work towards the middle, rubbing the mixture between your thumb and fingers but handling it as little as possible – until it resembles rough breadcrumbs. Whisk together the egg and yolks and add them to the mix slowly – with your flavouring, if using – and use a cold knife to bing together into a ball of dough, taking care not to over-mix. Remember, you might not need to use all of the liquid for the dough to come together. Flour lightly, pat into a flat round and wrap in clingfilm. Refrigerate overnight if possible, or for a minimum of an hour. Take the dough out of the fridge an hour before you need to roll it. 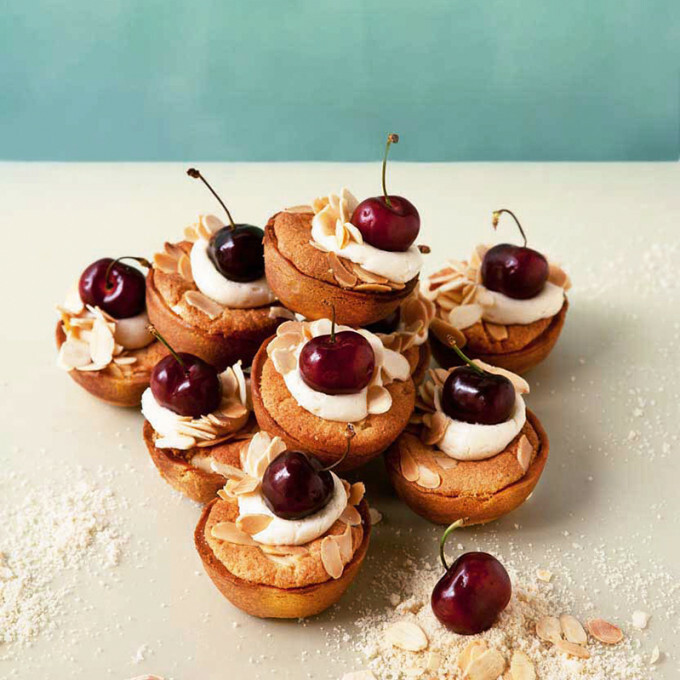 Chill the mixing bowl and correct pastry attachment in the fridge for 30 minutes. Sift the flour, icing sugar and salt into a large bowl, add the butter, then cover with a plate and transfer to the freezer for 10 minutes. 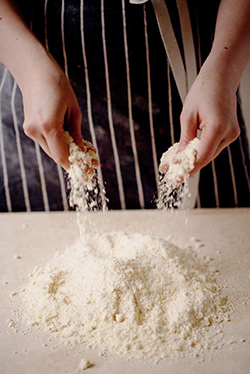 Transfer to your food processor or stand mixer and combine in quick pulses to just bring it to the breadcrumbs stage. Combine the eggs and your flavourings if using and add gradually to the mixture until it comes together as a dough. Be careful, you might not need all of the eggs.